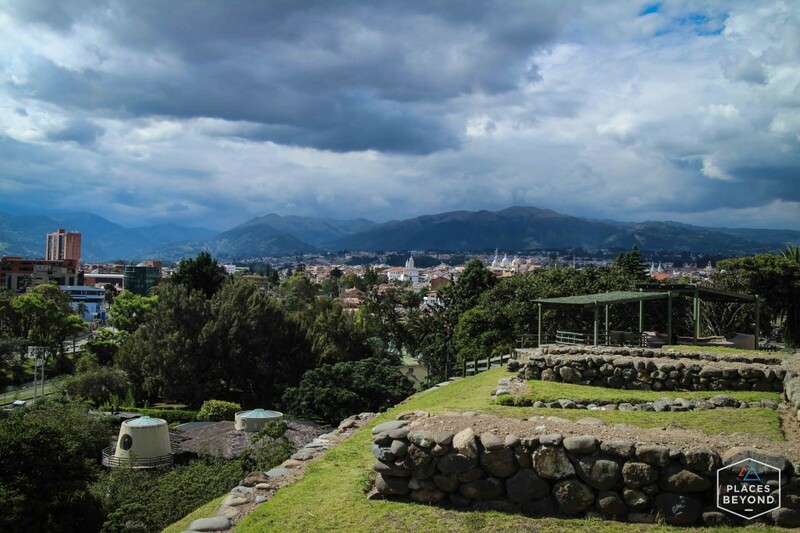 A few blocks away from the historic center of Cuenca is Pumapungo Museum and Archeological Park.  The site has the ruins of the Inca city of Tomebamba.  It’s a beautifully restored park with gardens and a small bird zoo. 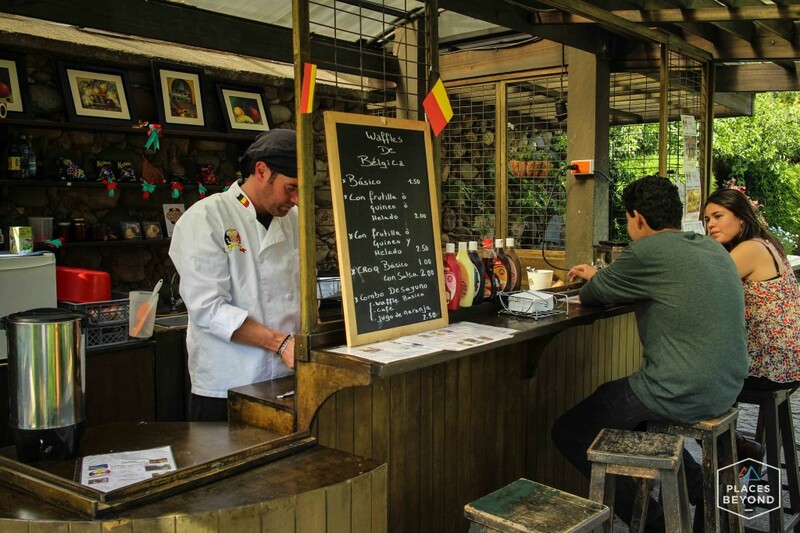 Located in the gardens is Waffles de Bélgica, a hidden treasure among the ruins of the ancient Incan city. 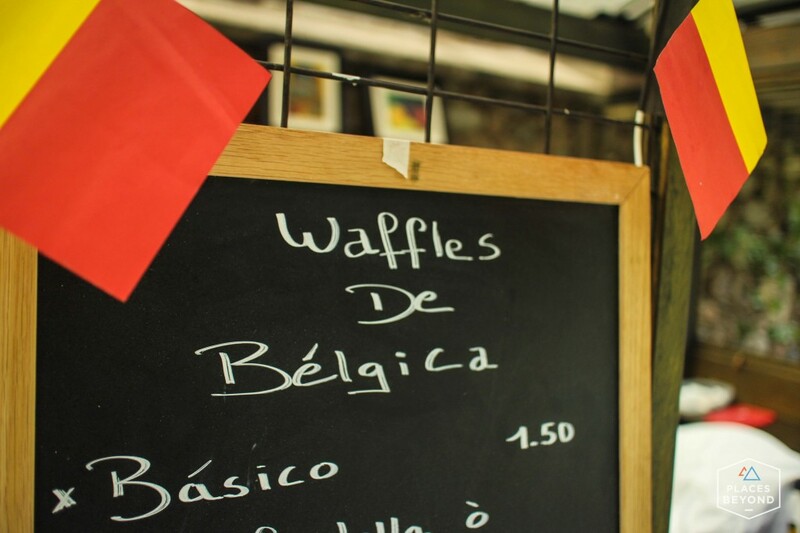 Waffles de Bélgica is owned by Jan, a trained Belgian chef who moved to Cuenca a few years ago. 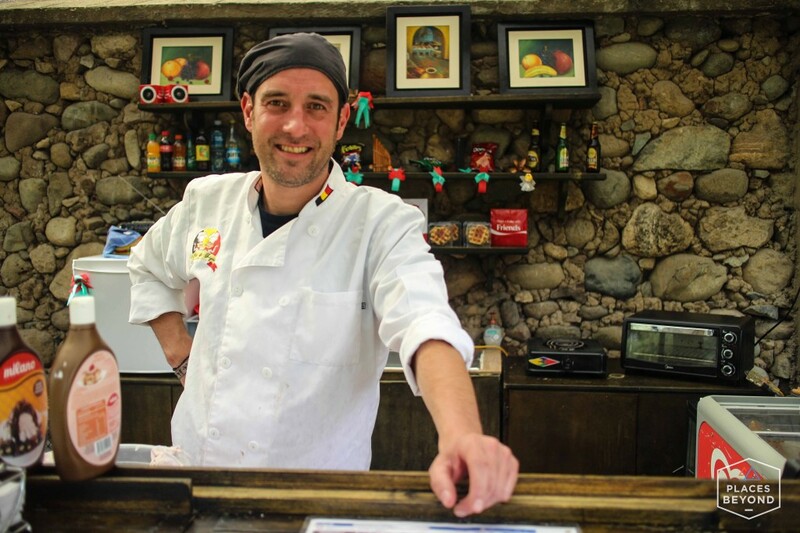 For a dollar or two you can have a delicious freshly made waffle with the toppings of your choice. Ice cream, fruit, hot fudge, etc. 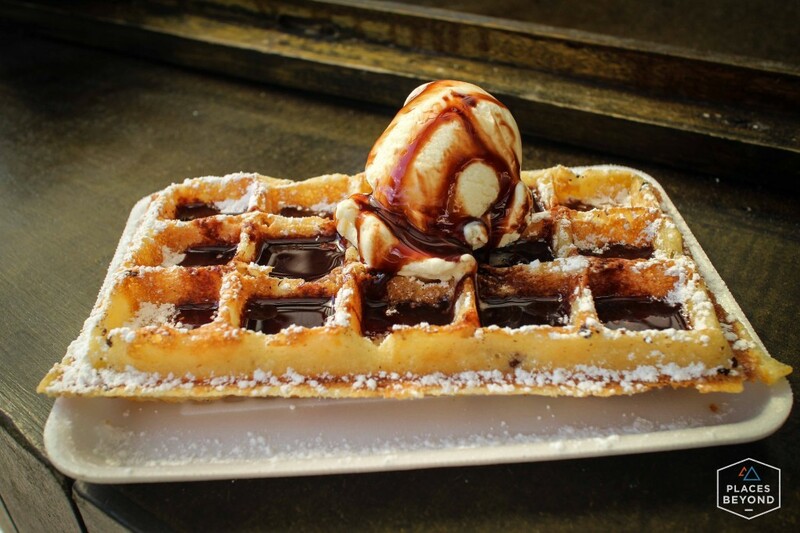 Jan isn’t lying when he says this will be the best Belgian waffle you’ll ever eat. In addition to the great food, Jan is an incredible host. After having a waffle we traded travel stories as he has also traveled by motorcycle. 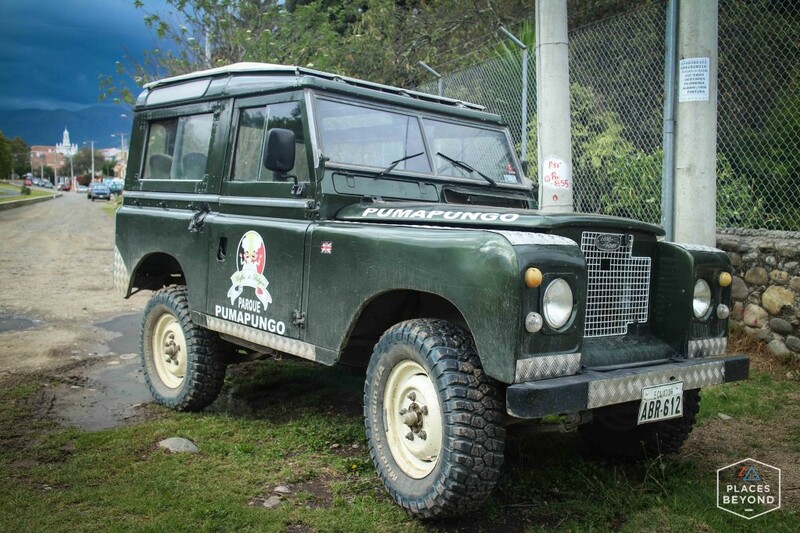 His next adventure is going to be taking his old Land Rover from Ecuador to Brazil for the World Cup. 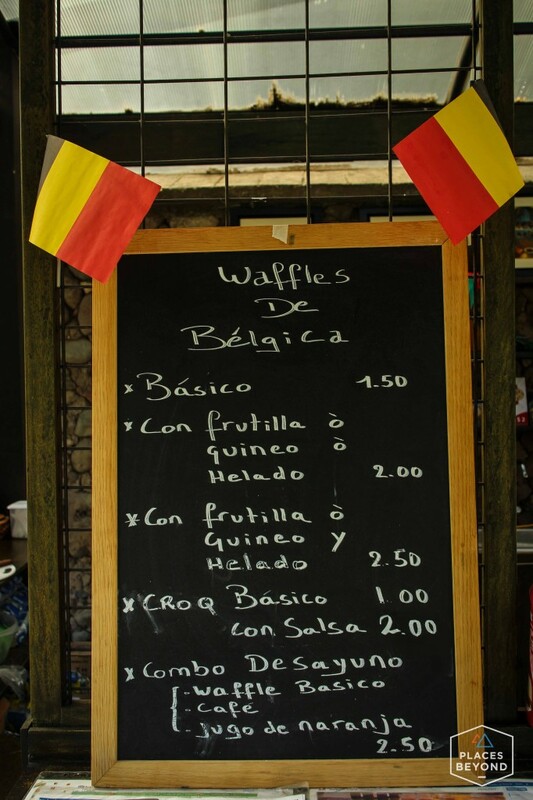 For those in Brazil for the World Cup, if Jan takes his waffle making equipment, you’re in for a treat. Good luck, Jan! THESE WAFFLES ARE TASTY, HOWEVER HE SHOULD WEAR GLOVES WHEN GRABBNG THE WAFFLE. JUST A TIP.